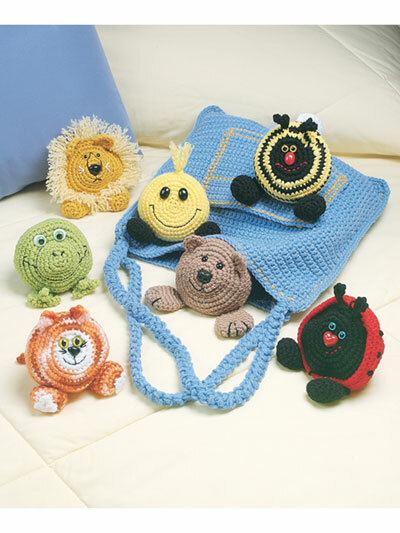 Stitch and collect all 12 of these cute and cuddly pals, along with their very own 12" x 12" tote bag with pocket to ensure take-along fun. 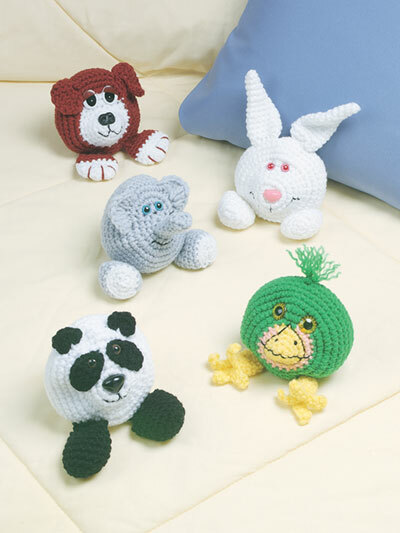 Each special critter measures 3" to 4 1/2" and is stitched using worsted-weight yarn. I made the elephant and it turned out very cute! Easy to follow directions and it looked just like the picture. I highly recommend this book. I am looking forward to making the other little pals. I did stuff it with poly-fil instead of the pellets and it still turned out cute. I purchased this pattern book when it first came out years ago. 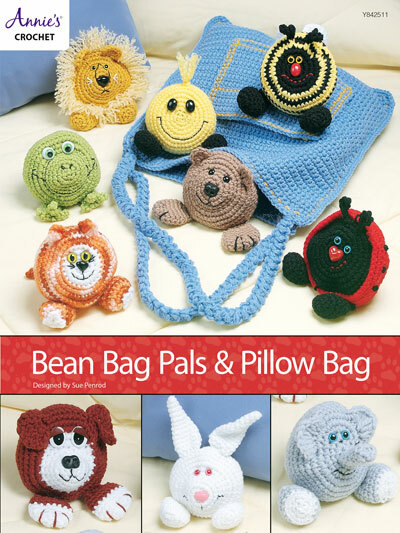 I had forgot I even had it until recently, when I was looking for small toy patterns for an upcoming holiday bazaar. I made 3 sets of these and a drawstring bag for them. They sold out within an hour! I used dried beans for the stuffing rather than the poly pellets, because our local craft store doesn't sell them.